Soman, David. Very Good. Ladybug Girl at the Beach by Davis, Jacky. Sewn binding. Paper over boards. With dust jacket. 40 p. Contains: Illustrations, color. Ladybug Girl. Intended for a juvenile audience. Soman, David. Good. 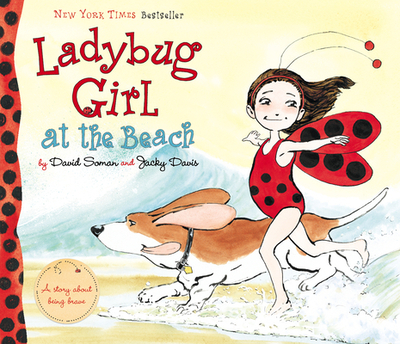 Ladybug Girl at the Beach by Davis, Jacky. Sewn binding. Paper over boards. With dust jacket. 40 p. Contains: Illustrations, color. Ladybug Girl. Intended for a juvenile audience. Fine. 0545451663 Ships from Tennessee, usually the same or next day. Good. Still in wrapping A sound copy with only light wear. Overall a solid copy at a great price! some highlighting All orders guaranteed and ship within 24 hours. Your purchase supports More Than Words, a nonprofit job training program for youth, empowering youth to take charge of their lives by taking charge of a business. Fine. 0545451663 Ships promptly from Texas.